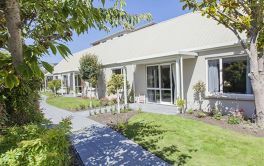 Bupa CASHMERE VIEW RETIREMENT VILLAGE is located in Cashmere, Christchurch and offers 0 dwellings with Villa (1 bdrm), Villa, (2+ bdrm), Apartment (1 bdrm), Apartment (2 bdrm) of independent retirement living. × Have you visited this facility? 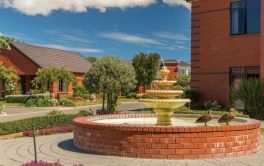 Help others who are looking for a place by posting a review on Bupa CASHMERE VIEW RETIREMENT VILLAGE or review a different facility now. Margaret337Bupa CASHMERE VIEW RETIREMENT VILLAGENo Complaints. Great Appliances. Quiet. Great view of hills. Great staff. Very Satisfactory. Still in own home. Have had apartment for 16 months. Looking to the future. Wated to secure apartment because of the location. Still down sizing home. Excellent location. Friendly Staff. Friendly Residents. Not always clear about what becomes the responsibility of the resident or the Owner. George337Bupa CASHMERE VIEW RETIREMENT VILLAGECaring staff. Well designed villa- though better than some of the other villas. Glass panels on back door right by locks. Sometimes given long replies to avoid looking at criticism.